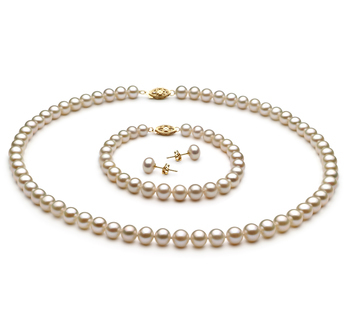 Sheer, Sensual and graceful the silver toned white bronze pendant sets the stage for a radiant freshwater pearl to make its debut. 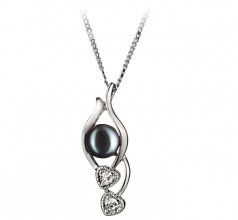 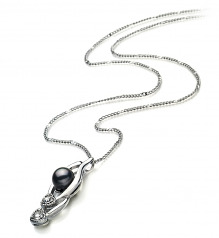 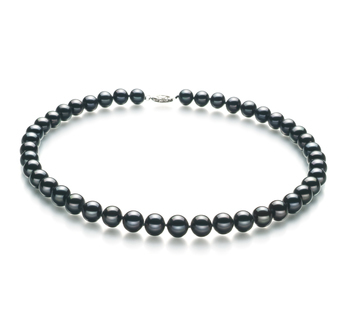 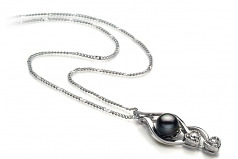 The Sassy Black Freshwater Pearl takes front and centre with its (AA) shape. 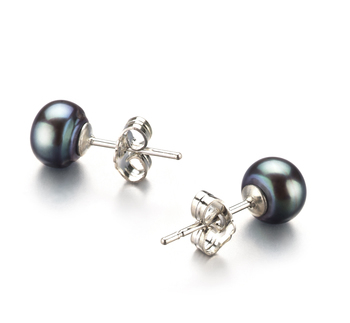 The 7-8mm size ensures that it will be noticed and not easily forgotten. 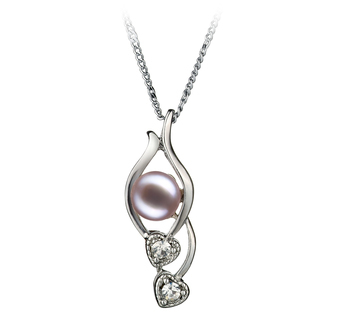 With an AAA mirror like high lustre, the glowing surface illuminates the surrounding white bronze pendant and casts a radiant glow onto the cubic zirconia hearts that slip down from its sides. 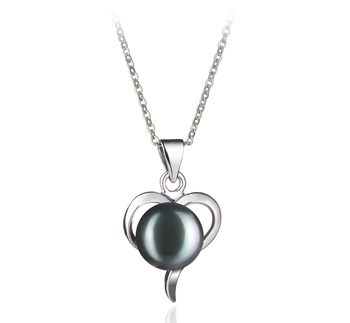 The essence of two hearts in the balance of the Black Pearl, each heart showcases an elegant and graceful display of a cubic zirconia accent leading it shimmering way. 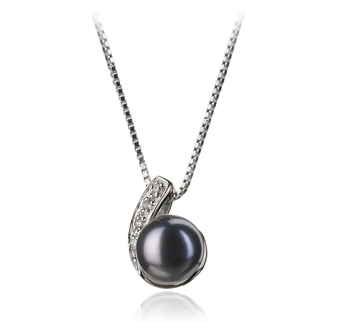 The Eudora Black 7-8mm AA Quality Freshwater White Bronze Pearl Pendant makes a strong statement in a formal wear but is versatile enough to wear every day.